How Do You Ask For That At The Pharmacy? Getting sick is no fun. Getting sick while abroad is even more unpleasant. 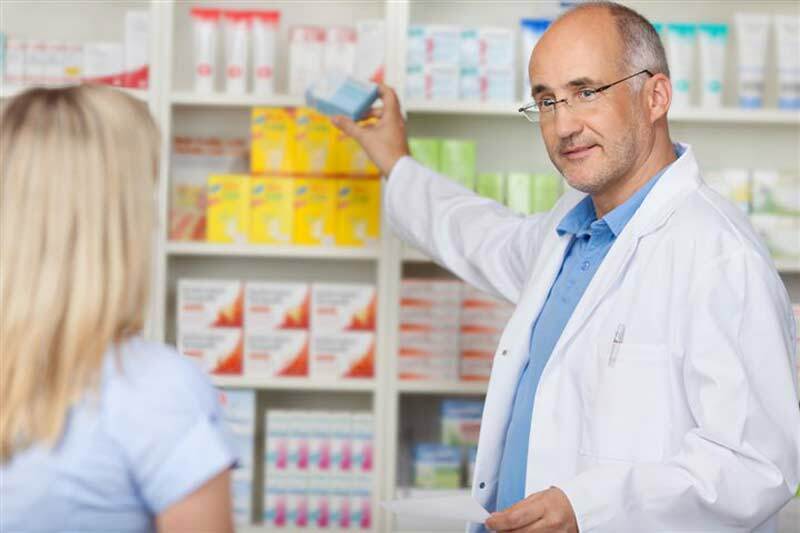 Even minor aches, coughs, runny noses, and headaches become more challenging when you must brave the “farmacia” and find something to ease your symptoms, or, heaven forbid, ASK someone for the Italian equivalent of your normal go-to medication back home. But never fear! Below are some of the most common over-the-counter pills, creams, syrups, and more with their American and Italian names. *Remember, you can always text, call, or whatsapp MedInAction for a FREE consultation for your medical needs. Try out our new iOS app too and chat for free with the doctor. Be aware that while you can find almost any kind of U.S. over-the-counter medication in Italy, you will not find them in large quantities. Forget extra-large bulk packaging, Italy portions-out drugs in small quantities. Thus, the average cost of aspirin, Ibuprofen, throat lozenges, and are slightly more expensive than their U.S. counterparts. NOTE: If you are currently taking any other prescription, or you suffer any chronic disease, or if you are pregnant or breastfeeding, you should consult with a doctor first before taking any new medication. Pills vs. Powder. Many pill versions of Italian drugs are sold in a powder dissolvable form. Pills are sold as “pillole” (PIL-oh-lay), which are coated, and “compresse” (com-PRESS-ay), which are not coated. Powder medications come in a small bag or “bustina” (boos-TEEN-ah) and are usually mixed/dissolved in water. Head-Ache. Translation: MAL DI TESTA. Aspirin. Translation: ASPIRINA (as-pi-REE-na). This one is pretty simple. Same name, same function. Ibuprofen. Translation: IBUPROFENE (ee-boo-pro-FEE-nay). Ibuprofen (Advil) is sold under the names Moment, Nurofen, and Brufen. Moment Rosa is marketed as menstrual pain relief and Moment Act are fast-acting gel tabs. Acetaminophen/Paracetamol. Translation: ACETAMINOFENE (ah-CHET-a-mean-o-fen-ay) / PARACETAMOLO (par-ah-CHET-ah-moh-loh). Acetaminophen (Tylenol) goes under the name Tachipirina (tah-kee-pee-REE-nah) and Efferalgan. Naproxen. Naproxen (nah-PROKS-en) is the pain-relief ingredient that goes in Aleve. In Italy, naproxen is found in the brands Naprosyn, Momendol, and Naproxene (nah-proks-EN-ay). Nausea/Diarrhea. Translation: NAUSEA (pronounced Now-zey-ah in Italian) and DIARREA (dee-ah-RAY-ah). The brand Immodium (for diarrhea) exists in Italy, as does Biochetasi , (for nausea)(bee-oh-kay-TAH-see), which are water dissolvable. Dramamine medication is sold under the brand Xamamina (Zah-mah-MEE-nah) and comes in pill or chewable-gum form. Heartburn. Translation: BRUCIORE DI STOMACO (broo-chee-OR-ay dee STO-mah-coh). You can find Maalox and Citrosodina in most pharmacies. The ant-acid Brioschi (bree-OH-skee) is sold in supermarkets and is a sodium bicarbonate that you dissolve in water to make a fizzy lemon-flavored drink. Geffer (JEFF-er) is sold in power form and treats nausea, gas, bloating, and heartburn. NyQuil: The brand Medinite is a similar substitute for this U.S. brand, green-color and everything. It is only sold in syrup form. Antihistamine. Translation: ANTISTAMINICO. The U.S. brand Zyrtec (Cetirizine) is sold by the same in Italy while Allegra (Fexofenadine) is sold by the name Telfast. Coughs and Sore Throats. Translation: TOSSE (TOE-say) and MAL DI GOLA. A cough suppressant equivalent to Robitussin (containing dextromethorphan) is Bisolvon Tosse Sedativo (bee-SOHL-von), Recotuss, and Bronchenolo (brahn-kay-NOH-low). To loosen congestion and free-up mucus so it can be easily coughed up and expelled, use carbocestine (found in the U.S. Mucodyn) which is the active ingredient in Italian brand Fluifort. Sore throat lozenges are sold by the name Benagol and you can get an all-natural spray called Propoli which is made with honey and applied directly on the back of the throat. A popular medicated throat spray is Froben Gola. Red/Itchy/Dry eyes. For an eye infection, you will need to see a doctor and get an actual prescription for an antibiotic. But for eyes that are just tired or dry, you can ask for the brand Iridina or just eye drops: GOCCE PER GLI OCCHI (GO-chay per lee OH-key). Sunburn. Translation: SCOTTATURA (skoh-tah-TUR-ah). You can ask for an aloe-vera cream, a “creama doposole” (after-sun cream) or something stronger like Foille which has the active ingredient benzocaina.